Spoiler Space offers thoughts on, and a place to discuss, the plot points we can’t reveal in our official reviews. Fair warning: Major plot points for Deadpool 2 are revealed below. The sum of Deadpool 2’s ambitions—and it has some, despite its too-cool-for-school attitude—come down to themes of finality and reversibility. The movie is an extended goof on the superhero’s favorite motivator, death, with Ryan Reynolds’ title character as its ideal Looney Tunes test case: The guy can bleed buckets of blood or get blown into chunks of chum and still regenerates to crack wise another day. The classic harlequin pattern of Deadpool’s mask—black diamonds on red—seems even more apt here; the version of the character we got in Tim Miller’s first film was a hero mockingly aware of his own formulaic origin story, but the one in David Leitch’s sequel is a clown who keeps stage-whispering asides to the audience as he bumbles with the aspirations and character-death obsessions of a superhero blockbuster. (And, at the risk of over-analysis, how conceptually neat is it that his most capable sidekick in the film, Zazie Beetz’ Domino, has a name that also hearkens back to Venetian carnivals? Or that Deadpool’s own moniker refers to expectations of celebrity demise?) Maybe his early fourth-wall-breaking crack about the prior film’s box-office success (“I’m spoken of in the same sentence as Jesus—it’s Passion Of The Christ, then me, at least domestically”) is as much about messianic reluctance as it is about vagaries of audience taste. Deadpool wants to die, but instead rises over and over. Of course, what’s a send-up of franchise blockbusters without gratuitous fan service, in-jokes, and Easter eggs? Deadpool 2 is awash in the stuff, from popular antagonists—in this case, a new, distractingly digital take on the domed strongman Juggernaut, voiced by an uncredited Reynolds—to A-list cameos: a split-second Brad Pitt as the invisible X-Force draftee the Vanisher; Matt Damon one-upping his role as an Asgardian thespian in the mainline Marvel entry Thor: Ragnarok with an unrecognizable turn as the redneck whose truck gets stolen by Cable (Josh Brolin) when the time traveller pops out of the future. (Alan Tudyk plays his buddy.) And it offers up what has to be the last word in fan-service mid-credits stinger, in which our hero borrows Cable’s time-travel gizmo to not only undo most of the plot of the film, but also all of Reynolds’ previous forays into the superhero genre. But wouldn’t it be a real trip if, underneath its winks and its outrageous Grand Guignol carnage, Deadpool 2 were also sort of playing it straight, passing off themes as running gags, all the way to that meta coda? That might be the ultimate Easter egg. Most discussions of gravitas and realism in the superhero genre come to permanence and especially death. At the risk of overselling a narrative that is for the most part messy and shambolic, it should be noted that Deadpool 2 actually has something to say on the matter. 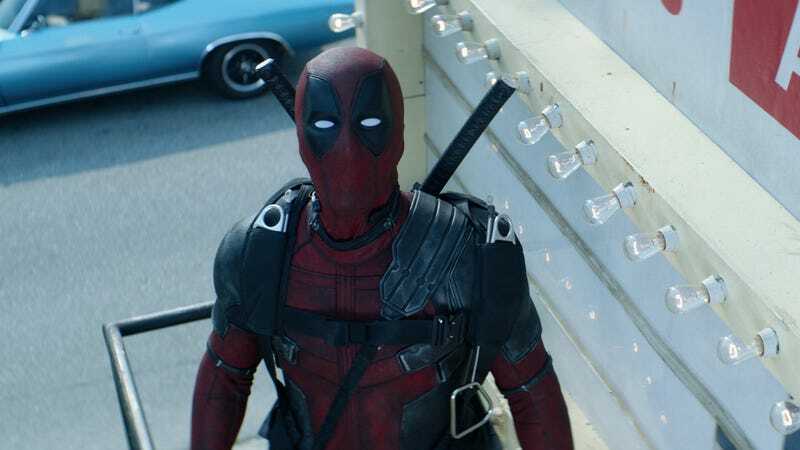 It offers up a couple of main characters with morbid motivations: the grotesquely suicidal Deadpool, whose girlfriend, Vanessa (Morena Baccarin), is killed by vengeful goons at the beginning of the film; Cable, who has come back in time to kill Russell (Julian Dennison), the teenager who will one day murder his family. Deadpool, who knows that he’s the hero of a movie, is hyper-aware of death as the mark of a grown-up comic book adaptation. (We’ll leave the business of spoiling the endings of other superhero movies to the film itself and just say that he’s angling for the big leagues.) But what this gruesome spoof suggests is that these two super-soldiers need to learn a lesson about not taking anything at face value and embrace the fact that they exist invincibly in a wacky comic book universe where everything is subject to change. Because that’s what makes them superheroes; death is for real people. Considering that both Deadpool and Cable are caricatures, perhaps the lesson is meant for the whole genre.